Boat - J-Class V12 - Registered Boats ONLY. Race Length/Duration - 50 Nautical Miles - Approximately 3 Hours. Rules Format - Full NPC ISAF RRS, Manual Pens. The player with the most points at the completion of the series will be awarded the SELS Championship (Virtual) Trophy. 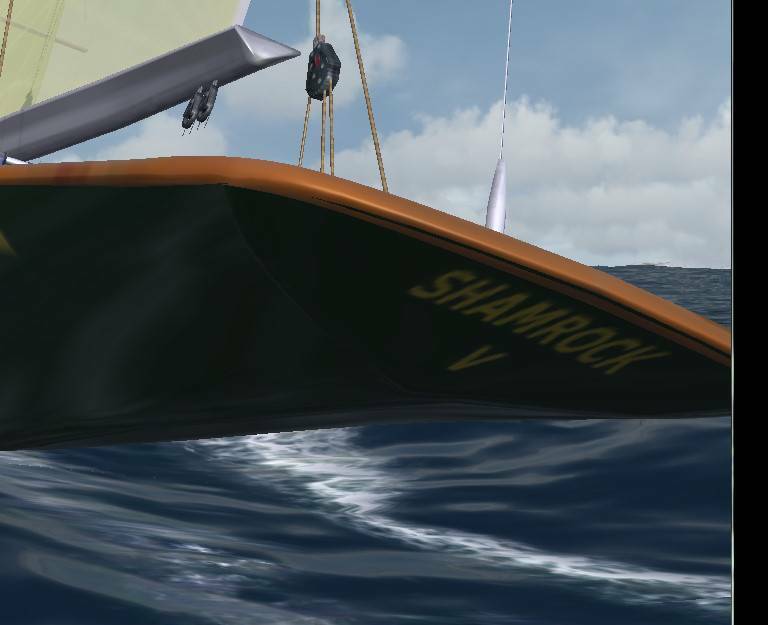 As this is a classics series, we will be racing the J-Class in true "classics" fashion, players MUST register their boats with the ARC, and use only that boat during the series. The boat must be in plain colours, and may have sports striping, think "1930's", limited transperancy for the sails (clear sails are NOT allowed), nor are they allowed to be completely non-transperant between 60% -75% transperancy should be enough to see through them. Default Nadeo J -Class boats are not allowed. Dont worry, our team of skinners will be able to make you a skin, all you need do is ask for a boat to be made and we will have you ready to sail for you. That is all you need to provide and we will come up with something for you by the cut-off date. Have fun thinking of a great boat name for your entry. It can be histrorical or something else anything really within reason. You need not provide a picture but it would be great to see the boat entries before they hit the water. Bring your beers, and settle in for a great night of racing. Should be a blast....cant wait. Can someone do this one for me, its called Cambria. Can't tell from pic but what colour/colours on the hull? http://www.abbeville.com/interiors.asp?ISBN=9780789209955&CaptionNumber=08 is that any better chief? You'll have to wait for the pic, still work in progress. 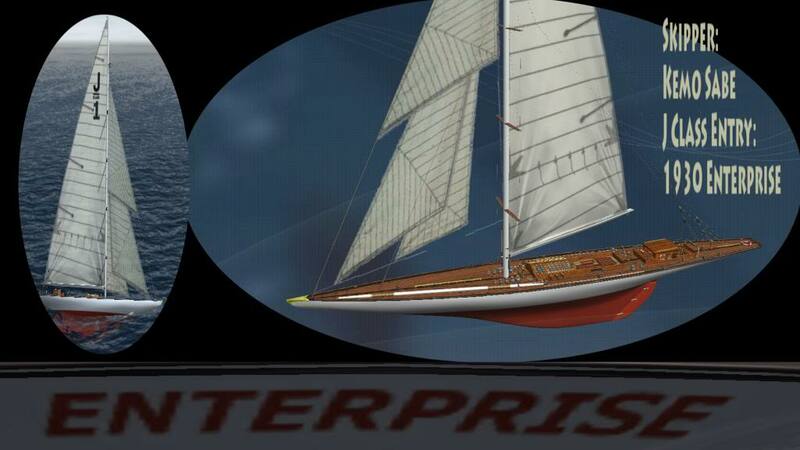 Wow, marvelous ebtries guys, you should all be proud, Im really looking forward to this series, these boats a quite cumbersome or heavy on the helm, but they have certainly got some mumbo, with about 20 knots on a reach and 15 knots upwind speeds they cover the course quite quickly. Not only that, but they are a fantastic looking yacht in all respects. Ill go ahead and update the entries list so you can see all the entered yachts for the series. Just marvelous work all of you. PS: The first race of this series is tomorrow morning my time, Ill be up early to make sure everyone is ready to go. This will be another fantastic ARC Endurance Series, and there will be oportunity to change boats between the series, so 6 races in this entry then a chance to design a new yacht for next season. However, your boat might be "lucky" so you may not wish to ever change it, but the option will be there. I got this Sandy, Im working it now, Ill post up tonight for you to upload before the race. Cheers mate....glad to have your involvement. I think that was all the requests, or at least that were posted, I will keep the entries open between rounds 1 and 2 respectively just in case other guys wanted to join in later. They will still need to register a boat. @Sandy - The Zip File was sent to your email address. Absolutely Duaner, it will be not only a pleasure to race with you again, but also a pleasure to see your entry, I will adjust the entries list for you. Any chance of a picture? Our next SELS Race is scheduled for the 30th of November 2013, all ACCEES Races are suspended on this date to make way for this race, the race is set to start at 8am Australian Sydney Time. Cheers Duaner and thank you for your entry. Here's a pic, I hope. Is this not going on any more. I was waiting from 15 min before to 15 min after 8am by the site's Sydney clock. Im truly sorry Duaner the event was cancelled and rescheduled for the 30th of December, please use our official website for latest developments and up to date news. The event was cancelled due to our busy time transferring data and setting up our official website, this site will be still active "as a forum" however most information will be deleted, all important information will be transferred to the Official ARC Website in due course. ill be up for this tonight Dan, count me in. Im sorry for the late reply Tom, needless to say there has been alot happening lately both in my personal life and here at the ARC. Some things I have had control over and some I have not. Other posts have indicated that I had extreme connectivity problems during most of the ACCEES off-season which made communication within my own club extremely difficult. For this reason I had no choice but to cancel the SELS race scheduled for the 30th of last month and the race previous to that also. Added to this the disruptions within the ARC caused by a lot of its most active members had made it almost impossible to move within my own club. With the weight of these key issues I have decided to terminate the ARC SELS program indefinitely. It was a great idea and one that I have not abandoned completely, super-endurance races can still be hosted from time to time but as for a seasonal affair...well Im afraid I just dont have the time. 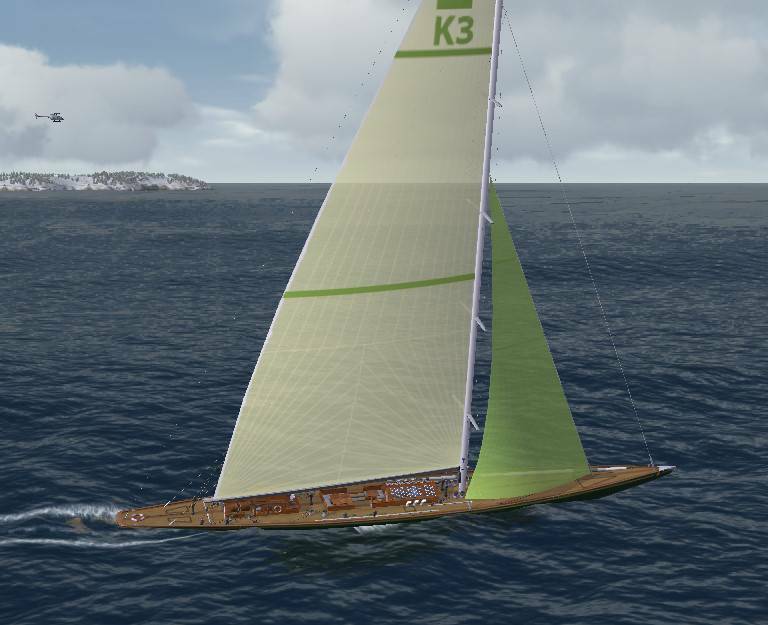 The J-Class Boats are fabulous and the skins made by some of our former members were great too, it would/should have been a great series. I have a great new idea which I am keeping fairly secret at the moment set to launch at the end of ACCEES Season VI so stay tuned.